A recent medical test revealed that I, like millions of other people, have very low gut flora. It seems that after all those years of dairy turmoil (GI issues, antibiotics for infections, etc. ), my digestive system hasn’t been able to achieve that perfect balance on its own. I take probiotics sometimes, but have been inconsistent with it, so I jumped on board when I spotted the GoodBelly 12-Day Probiotic Challenge. How does it taste? I wasn’t expecting too much from GoodBelly StraightShot in terms of taste … I mean, sugar makes everything taste better right? This was purely a health pursuit. But … it is DELICIOUS. I kid you not, I did not miss a single probiotic dosage because I actually looked forward to and craved this generously-sized shot each and every day. GoodBelly StraightShot is nothing short of yummy and it is wonderfully refreshing. My favorite time to enjoy it is actually right after a workout. Because StraightShot is so low in sugars and has a flavor that I enjoy, it is the only probiotic drink to date that I would consider adding to my daily diet. What is it made of? 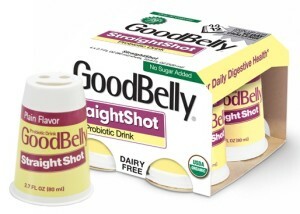 GoodBelly StraightShot has just 30 calories per serving and 3 grams of sugars. Wait, didn’t I say no sugar? There isn’t any added sugar. Although there is a wee bit of naturally occurring sugars from the light oat milk base, which includes organic grape juice, organic pear juice, organic oat flour, and rice starch. 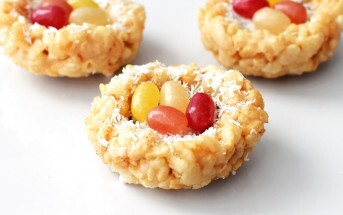 I was thankful for this perfect touch of sweetness, and can live with that small amount of sugars. To note, each StraightShot contains 20 billion probiotics at the time of manufacture. Does it work? In terms of tummy changes, I wasn’t having any notable GI symptoms prior to the challenge. My stomach remained nice and calm during the challenge. It would be great to get a before and after test to see if my flora actually is replenishing! Of course, I think I will need to continue on with long-term probiotic usage to get some test-worthy results. Nonetheless, I have noticed that GoodBelly StraightShot keeps my stomach calm post-workout, when it sometimes tends to be sensitive. 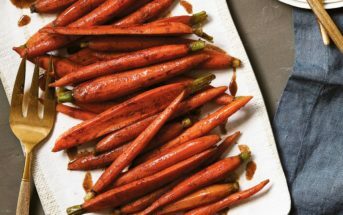 Many products feature “live and active cultures,” but such cultures do not necessarily meet the true definition of a probiotic. For example, certain commonly used live cultures, including Lactobacillus bulgaricus and Streptococcus thermophilus, are not shown to survive the passage through harsh stomach acids in order to colonize the intestine in any significant numbers. Therefore they do not offer a probiotic effect. GoodBelly‟s probiotic strain, on the other hand, uses a patented probiotic strain called Lactobacillus plantarum299v (Lp299v for short). This powerful probiotic survives the passage through the harsh environment of the gastrointestinal tract, and is suggested, in more than 16 research trials, to promote digestive health. 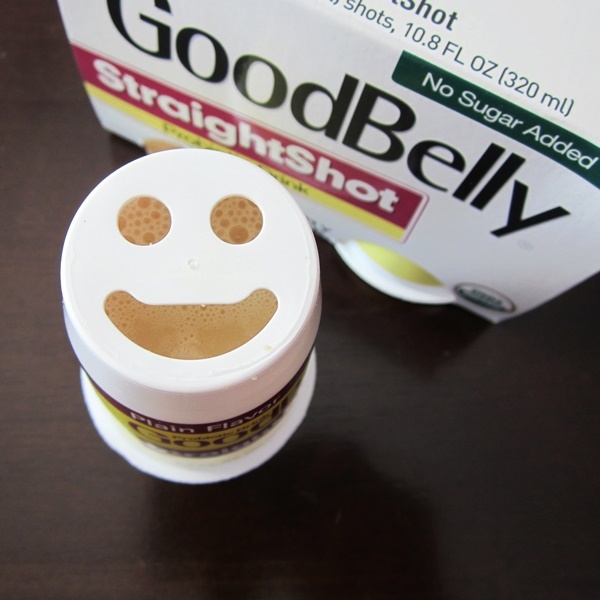 And what other yogurt or probiotic delivery system can make you smile like GoodBelly StraightShot? Certifications: GoodBelly StraightShot is Certified Organic and Kosher. 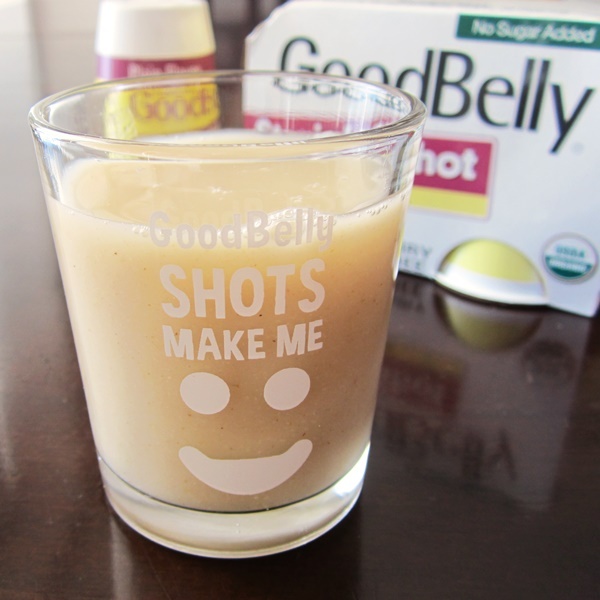 Dietary Notes: By ingredients, GoodBelly StraightShot is dairy-free / non-dairy, egg-free, nut-free, peanut-free, soy-free, wheat-free, vegan, and vegetarian. Nonetheless, check with the company on their manufacturing processes for all varieties if potential allergen cross-contamination is an issue for you. Processes and labeling are subject to change at any time for any company / product. This little drink is currently my favorite way to take probiotics. Refreshing, lightly sweet, and oh-so tasty, one shot is the perfect way to close a workout while taming my tummy with billions of live and active cultures. 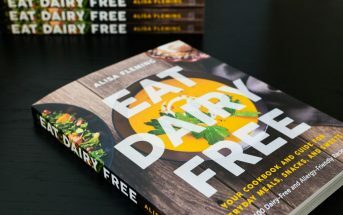 And not only is it dairy-free, this alternative is also free of added sugars.